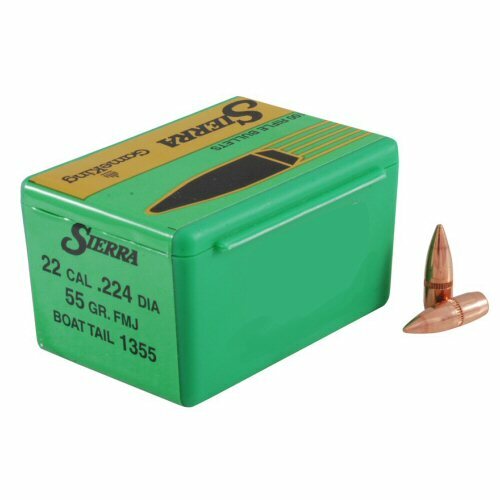 Pack of .224 diameter 55gr full metal jacket FMJ boat tail bullet heads from Sierra Match King. Highly consistent, light weight bullet heads for medium to low twist rate barrels. This is a pack of 100.